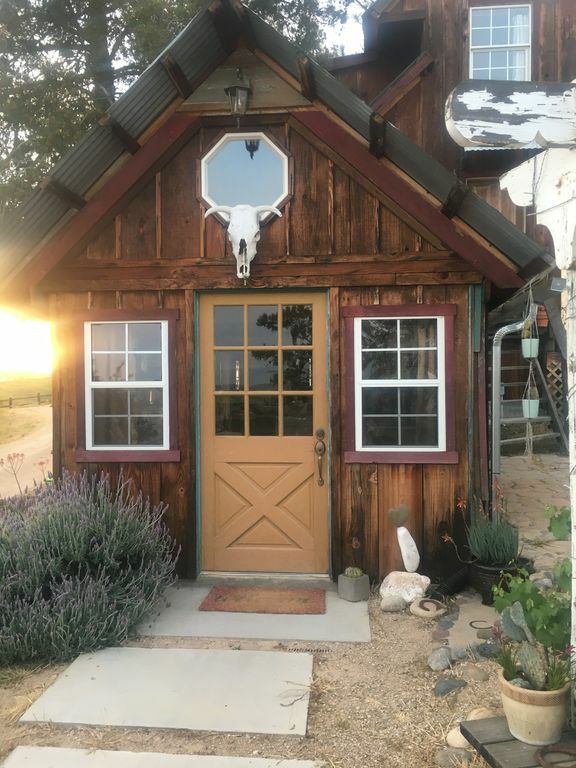 Rustic tiny living with a wine country view. Reminiscent of your childhood tree house, climb your way to the bedroom that boasts a cozy full bed with a Roku tv and a 3rd floor loft. You may also enjoy a kitchen, record player, a bathroom and 2 covered decks. Situated in the middle of 10 Acres among a main residence, barn and RV pad. Each with their own space. Friendly dogs in perimeter fences. Close to town but a very country feel as we are just 7 minutes away.